Molly sees a young boy who she’s convinced is her grandson but how does she find out the truth when her son Philip ran away to New Zealand five years ago? Could he have fathered a son and then vanished? And is he ever going to return? While handsome and dynamic Christopher, choir leader, has closed off his heart to relationships a long time ago, making do with snatched trysts with married Jane, the newest member of the choir. It’s exactly the level of commitment he wants and needs – or is it? Then there’s Clem, nursing his own private heartache, and Freddie, the children’s author, who has just moved to Ireland from America with her young daughter in tow. As the heatwave breaks, so too does the veneer of calm in the small town. As performance night approaches, the members of the choir discover that their lives intertwine more than they could ever have imagined – but are the inhabitants of the town ready for what happens next? 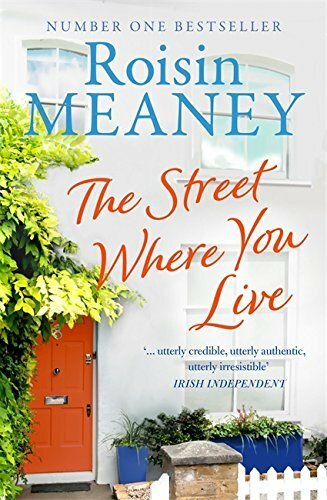 The charm here is all in the writing… The interwoven lives of Molly and her neighbours perfectly illustrate, in spare, moving prose, the desires, disappointments, and, ultimately, the beauty in day-to-day life.